Join us for a special evening at the Winston-Salem Open. Sunday, August 19, the Invesco Series QQQ returns to North Carolina with a showcase of some of tennis's greatest icons. 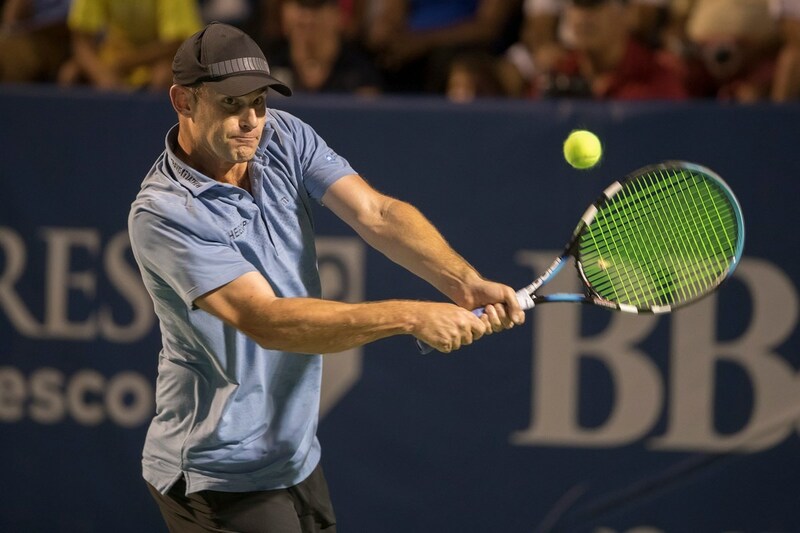 Players will face off in two one-set semi-finals with the winners battling it out in a single set to claim the Invesco Title in Winston-Salem. 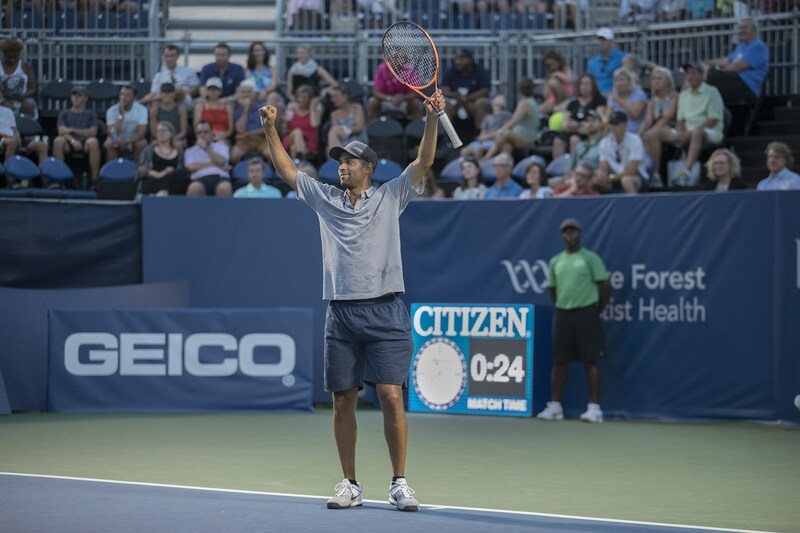 Match play begins at 7:00 p.m.
James Blake began playing tennis as a member of the Harlem Junior Tennis Program at age five. As a child, he had to overcome severe scoliosis which forced him to wear a back brace 18 hours a day. Blake, best known for his speed and powerful forehand, reached three Grand Slam quarterfinals, and in 2006, became the first African-American player since Arthur Ashe to reach the ATP Top 10. To read more about this American fan favorite, click here. 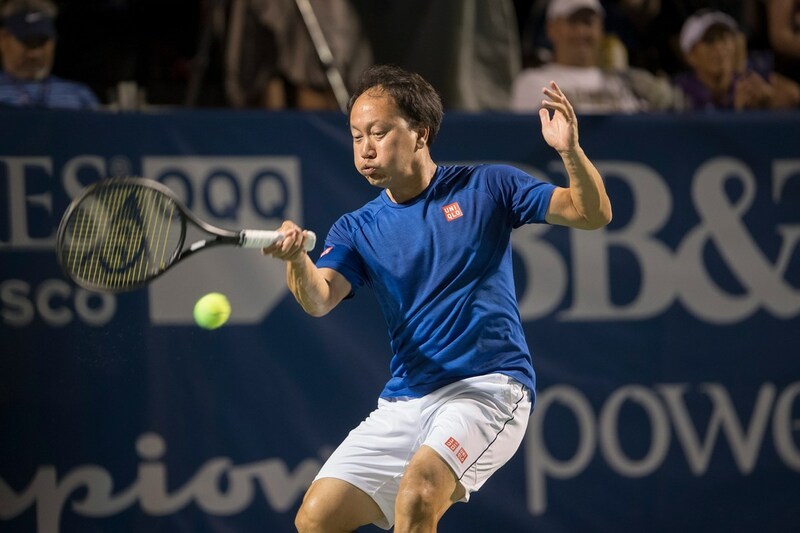 Michael Chang first started playing the game at the six years old. By 15 he was he was beginning a string of firsts, including: youngest player to win a main draw match at the U.S. Open, youngest Grand Slam Champion (17 years, 3 months), youngest to rank inside the ATP Top 5, and the first player of Asian descent to crack the Top 10. His all-court game is built on speed and a tenacious service return. Read more about his amazing acheivements here. 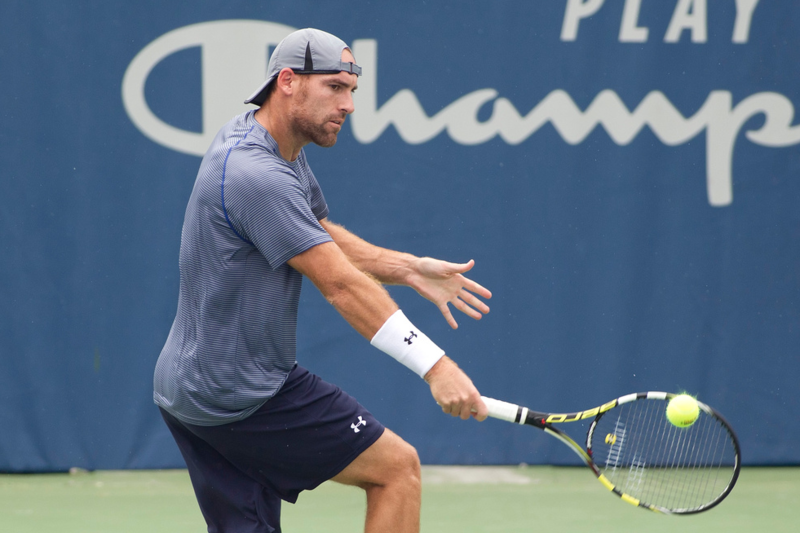 This 14-year veteran of the ATP world tour, Robby Ginepri, reached a career high of World No. 15 in 2005. Ginepri's best Grand Slam result was the semi-finals of the U.S. Open, where he fell to hall-of-famer Andre Agassi. This Florida native won three ATP singles titles and represented the United States in the 2008 Olympic Games in Beijing. To learn more about Robby, click here. Andy Roddick was the top American man for nearly a decade. He finished nine consecutive seasons inside the ATP Top 10 and reached World Number 1 in 2003, the same year he won the U.S. Open. Roddick reached four other Grand Slam finals in his hall-of-fame career, and is widely known for one of the fastest and most powerful serves in the game. He returns to Winston-Salem where he has played in two Davis Cups as well as the Winston-Salem Open. To learn more about Andy, click here.